Walking from the car park down to the trailhead, you’ll pass spectacular cave mouths with turquoise water beneath. Trailhead to the Na’Pali Coast and the start of the adventure. 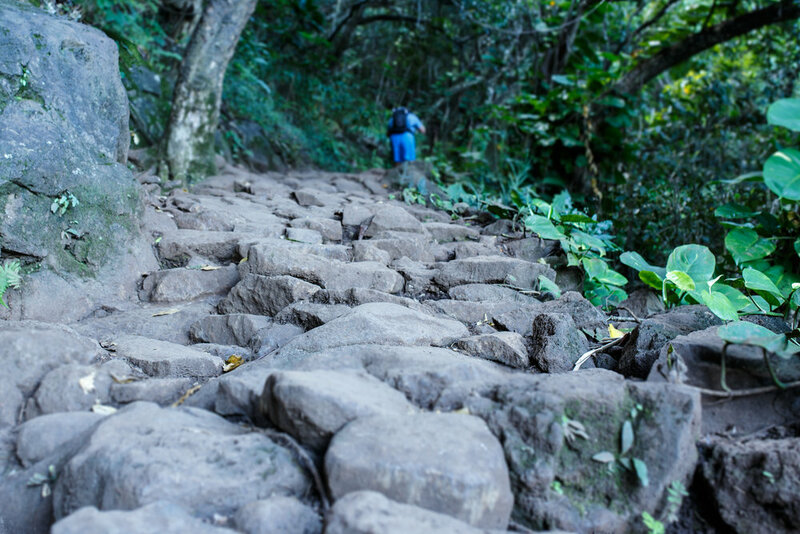 The first half mile of the trail is lined with stones to make hiking in all conditions super simple. Looking back from one of the switchbacks above the tree line towards Ke’e Beach. Admiring the plant growth out of the large boulders flanking the trail. Peering out at the switchbacks and cliffs to come against a clear Hawaiian sky and calm ocean waters. 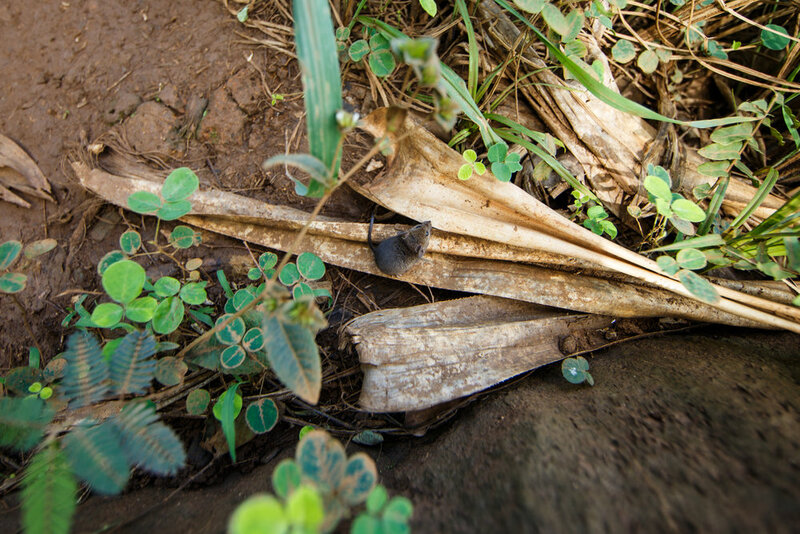 Above-ground root systems like these help to prevent erosion along the trail. A tiny (maybe 1-inch) mouse scurried down the trail and stopped just beside my boot to pose. A quick snap of the happy hikers resting on a rock along the trail. 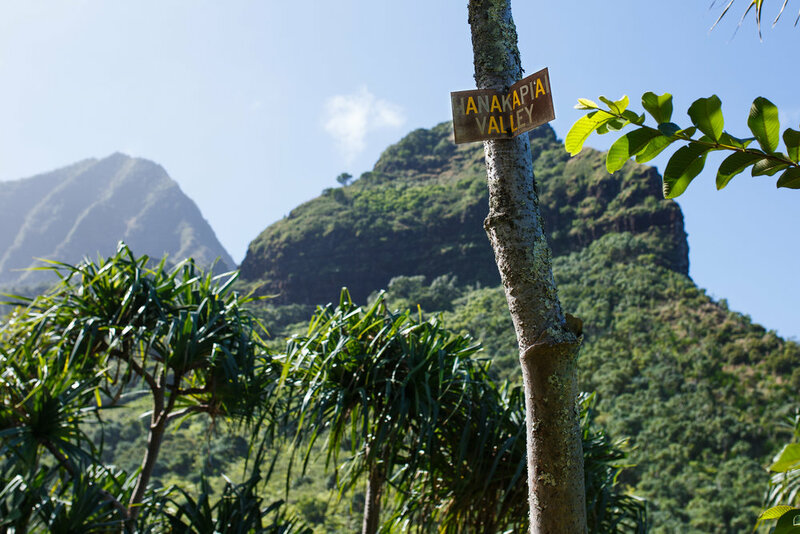 2 miles into the Kalalau Trail, you’ll be welcomed by this sign to the entrance of Hanakapi’ai Valley. After turning to climb back into Hanakapi’ai Valley from the beach to head to the waterfalls, you’ll pass through thickets of towering bamboo like this one. This rocky river snakes out from the falls to the beach through the valley. 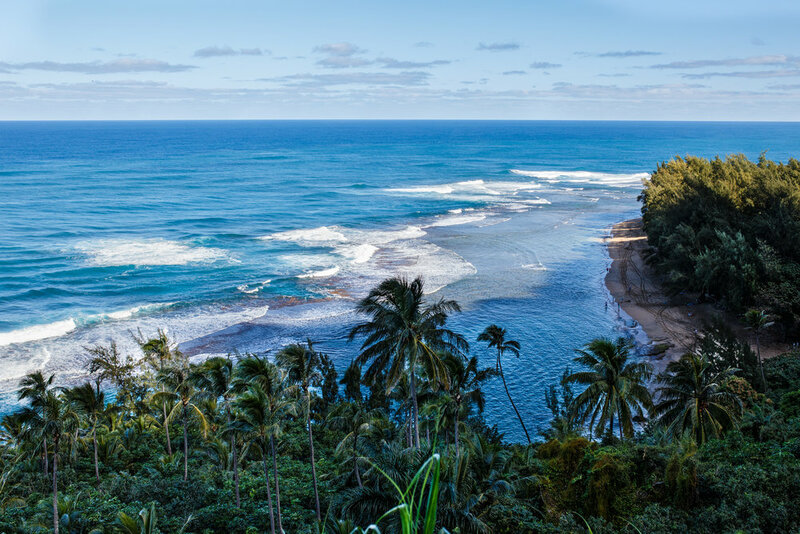 Impression: A fabulous introduction to the first 2 miles of the 11-mile Kalalau Trail. The section to Hanakapi'ai Beach is easy peasy, well-groomed and suitable for just about anyone (as long as the trail isn't wet). Turning into the valley up to the falls, you will have to climb over boulders and cross the river a couple times, so make sure to bring shoes suitable for that - and maybe a dry pair of socks. A bathing suit to hop in the waterfall at the end would be a great idea as well. This is a heavily traversed trail, which is a sure bet for novice to intermediate hikers and has most definitely enticed me to start planning for a return to complete the entire Kalalau Trail.